There’s a lot of elements that go into the overall performance of a website, and we could spend a great deal of time going back and forth about what really matters for modern website design. However, at the end of the day, what’s really important is the overall experience of every person that visits your site. While we could break their experience down and analyze it to death, it all boils down to two things – performance and aesthetics. Both performance and aesthetics are critical to your site performance, but it also happens to be that they’re often at odds with each other. Internet users want sites that are intuitive to use, align with their aesthetic expectations and perform without a glitch. Unfortunately, in an attempt to appeal to user expectations, businesses often fail to achieve the perfect balance between form and function. The thing is that going overboard on the aesthetic elements users love can absolutely tank your web performance. On the flip side of the coin, focusing only on function and usability in your web design is a recipe for creating a flat, lifeless website that turns visitors off as soon as they land. So, is the perfect balance between performance and aesthetics a magical unicorn or does it really exist? The good news is that it is possible to appeal to the visual nature of your website visitors while providing the ultimate in usability. Here’s what you need to know about striking the balance. We’ve all visited one of “those” sites. You know, the ones that are so cluttered with graphical elements and animations that they drag site performance and load speed down to a snail’s pace. Honestly, from a business perspective it’s easy to see why they thought this would work. Audiences love visual stimuli, so it would seem that the more of it you pack in, the more attractive it becomes to visitors. The problem is that performance matters and adding too many animations and large images can weigh down your site to the point that it’s practically unusable – meaning that all that effort you put in was in vain. If you think that a pretty, graphically heavy site is more important than usability, stop and consider that each second your website takes to load robs you of 7% of your conversions and if your website hasn’t loaded in 3 seconds, you’ve essentially lost half of your visitors to bounce. It’s also important to look at web development from an SEO perspective. For example, slow loading sites have high bounce rates and conflict with a number of Google’s important ranking factors. Not only could your heavily loaded site be turning off visitors, but also preventing new customers from finding you in the first place. If you’ve tested your load speed and it reaches the 2 second mark or beyond, it’s time to step back and assess if your attempts at creating an aesthetically appealing website are the culprit. That doesn’t mean you need to scale all the way back to boring but instead focus on cleaning things up and incorporating a more modern design with purposeful visuals. Here’s the thing, whether you realize it or not, you’ve got a ton of competition out there in the digital universe. Success today isn’t defined solely by the number of visitors you can attract to your site, but also about your ability to nurture them through the customer journey. Your web design plays a major role in this process. Take for example how so many of your visitors are entering from different points. Maybe one never heard of your business before but clicked on a piece of content shared on social media. Then other came to you through organic search, and yet another has visited your site several times and is finally considering a purchase. Your web design needs to be simple enough to meet the individual needs of each of the visitors at the same time. This means cutting back on clutter and noise that make your site difficult to navigate or rethinking a template that just isn’t intuitive to use. Assess your site and consider if the menu is easy to find and navigate or if visitors can find answers to their questions without filtering through countless pages. 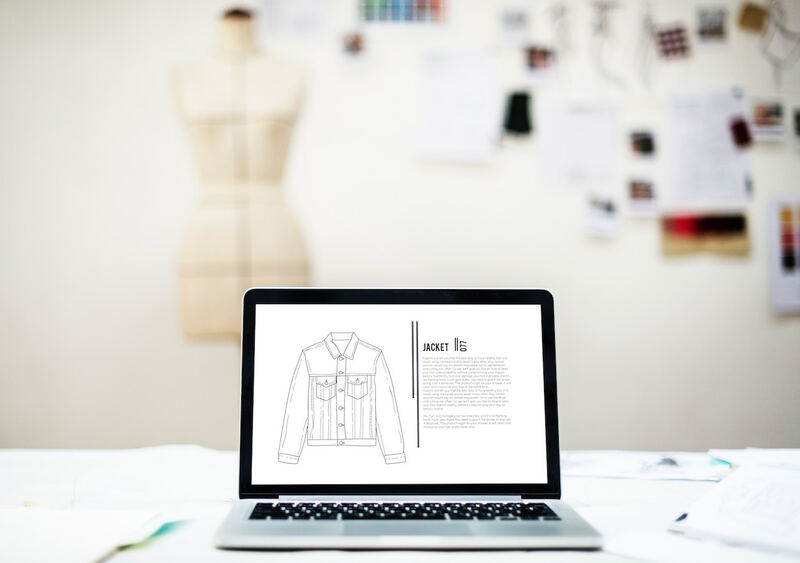 See your site through the eyes of your customers and ask yourself if there are any aesthetic elements of your web design that could be placing road blocks between your business and customers that want to convert. Too many times businesses that take on the part of web designer lose track of the real goals, which is primarily to generate traffic that’s necessary to reach their lead generation and conversion goals. When you’re designing a site, it’s easy to get caught up in the look and easily lose sight of the function. The importance of appealing to the mobile consumer is a great example of this. Sites that are designed without a balance between aesthetics and function frequently perform poorly on mobile sites. This is bad news because more and more consumers are reaching out to you through their mobile devices. Think about how all those visual elements will translate to a smaller smartphone or tablet screen. They can easily overwhelm the space and the person trying to navigate it all on such a small screen. This produces an immediate barrier that prevents you from meeting your lead generation and conversion goals. This is reason enough to focus on responsive design that’s clean, intuitive and translates across multiple types of devices. If you’ve read everything that’s been said here, it might seem like performance wins over aesthetics every time. The truth is that they both matter and finding the balance between the two is key to getting maximum traction and results from your web design. What’s the real secret to striking this balance? We say it’s connecting with a website design company with a track record of proven success in creating great looking websites that also provide the ultimate in user experience. If you want to know more about maximizing the performance of your site, we’re the web design company that can help. Contact Knowmad today and let one of our web developers work their magic on your digital presence.